It is almost the weekend so it is a good time for something glamorous. Nothing fits the bill better that the HITS no Olimpo series. 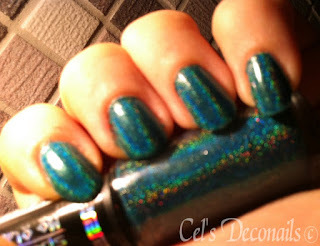 As soon as I saw swatches of these gorgeous holographic nail polishes I knew I wanted to get my hands on some of them. An added plus is the Ancient Greek theme. 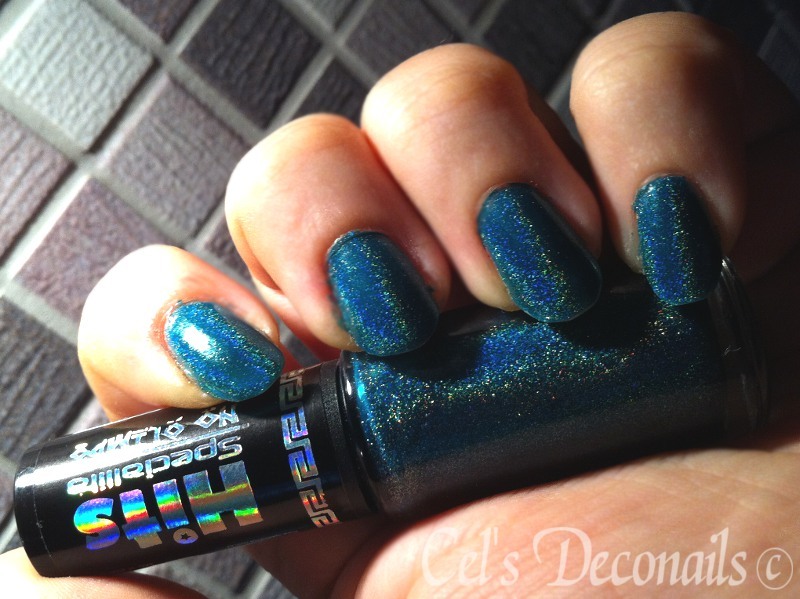 Today I will show you HITS No Olimpo Hera, a beautiful teal holographic nail polish. 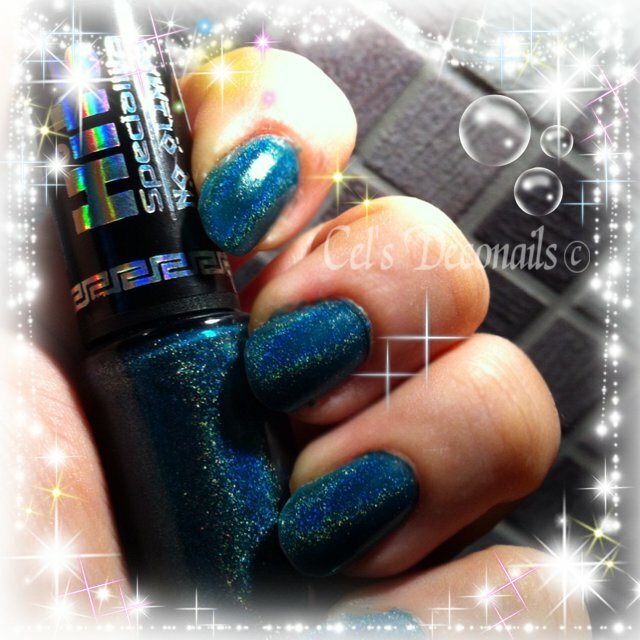 I wore two coats of Hera, over NfuOh's aqua base (my base coat of choice when it comes to wearing holos), sealed with a coat of Seche Vite top coat. It went chip free for 7 days. Below you can see how the colour looks in the daytime. The holo effectt is visible even in the shade. I tried to capture the effect as best I could as winter is not the best time to photograph nail polishes. Still as you can see the holo is definitely eye catching. This is truly beautiful! Where can I pick this up at?? Hehehe apart from the name we also share good taste in nail polishes ;) I have been looking for these for quite some time now and have finally spotted them at Llarowe (http://shop.llarowe.com/)they arrived quite fast and perfectly packed too, so I definitely recommend them. Holo lover here too! I have only light shades holo polishes, I want some darker ones like this baby! ^_^ dark holos are fab but some times I prefer light ones as they can be layered over other polishes and give them an extra oomph! I think our local brands should give holographics a go too. 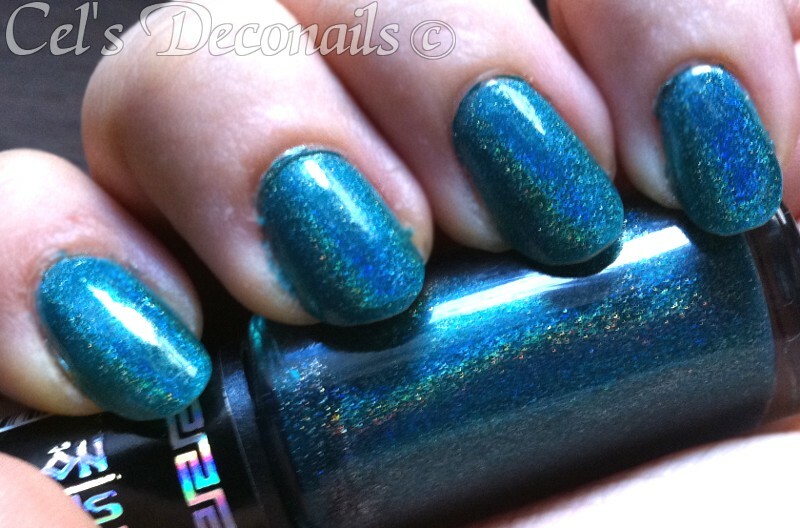 that is one nice teal holo! I especially like the daylight colors! This polish makes me drool!